Creative music, art & science and theater enrichment for infants, toddlers, preschoolers, and elementary age kids. Weekly classes, drop-in art studio, vacation and holiday activities, summer mini-camps, birthday parties, scout troop badges, creative play dates for any age. Whatever the program, every child will experience respectful, nurturing teachers, cozy class sizes, and moments of joy and discovery. 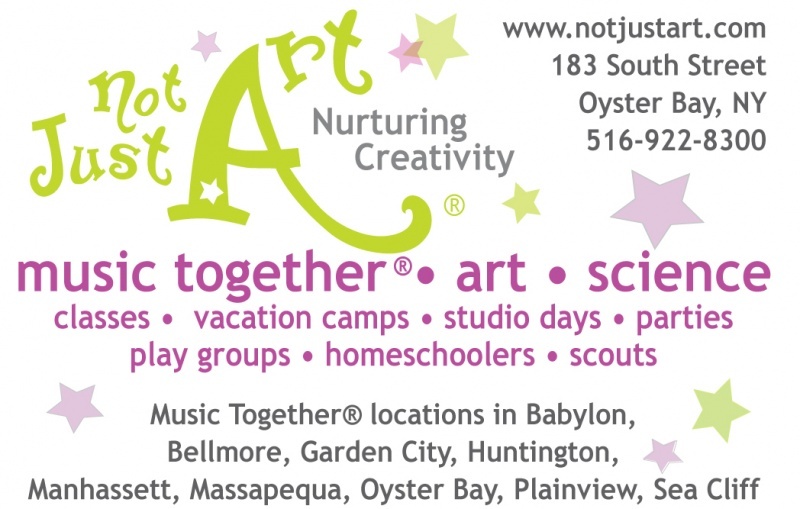 Beautiful eclectic creative toy store and classrooms in Oyster Bay. Additional Music Together Center locations in Babylon, Garden City Huntington, Manhassett, Massapequa, Plainview & Sea Cliff. Creative summer programs for children newborn-12 years. Flexible calendar to fit any schedule. Camps, art and science classes, workshops, Music Together®, Open Art Studio, and private play group times available year round. Get into character with thematic weekly mini-camps: pirate's life, outer space, ancient Egypt, medieval times, nutty professor laboratory, the circus, and more! Monday-Thursdays, 9:30am-1:30pm, grades 1-5. Art, science, theater and culture studies all rolled into four days of imaginative fun!